I'm off today to the preview of the RHA Annual Exhibition. I'm delighted that 2 of my Stoneybatter photos will be part of the show. There'll be a little corner of the 'batter hanging proudly on the south side. The show officially opens tomorrow and runs until the 12th August. Even more happy to find that my pieces are hanging beside Hugh O'Conor's wonderful image. I've been in awe of his work for years. 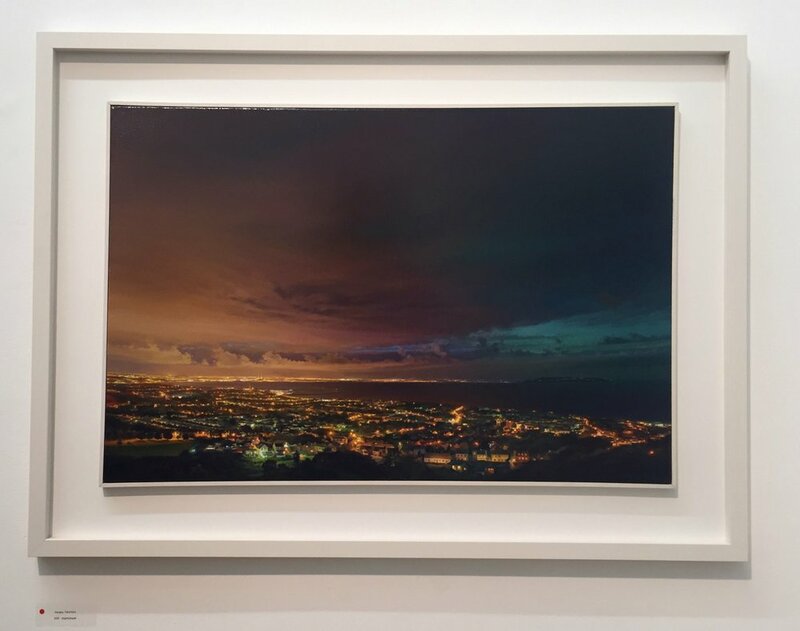 Then I came across a piece called Nightshade, by Sergey Talichkin - a view over the city I'm familiar with from Killiney Hill. I went looking in it for one house in particular that struck me when I was up there...it has it's own spotlight, highlighting it from it's neighbours.